The Black Ops 4 bonus level “Classified” may be a homage to a classic Call of Duty zombies map. One thing is true about Call of Duty: Black Ops developer Treyarch: the studio loves hiding zombies easter eggs in plain sight. 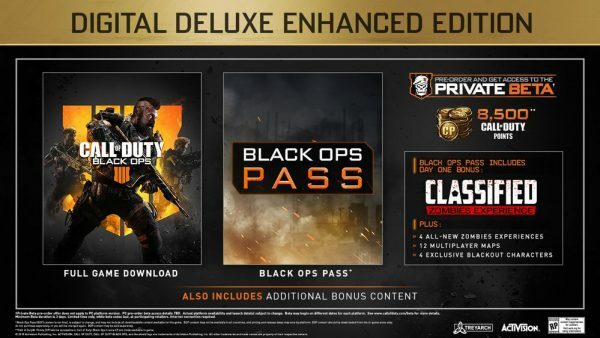 So when Treyarch announced a Black Ops 4 season pass and brand-new zombies map, it’s always a good idea to check for hidden details. Take a close look at the promotional image above. Notice anything strange about the new Zombies map “Classified”? Tucked within the font is a pentagon, which is an odd thing to include in the text design. At least, it seems that way until you consider Treyarch history. Way back in Black Ops 1, players could unlock a zombies map called “Five” by completing the story campaign. 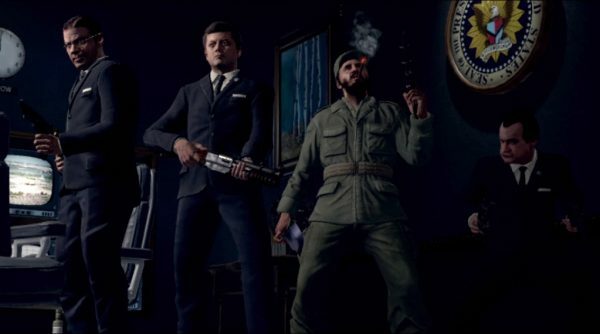 This map took place the Pentagon, and featured John F. Kennedy, Richard Nixon, Fidel Castro, and Secretary of Defense Robert McNamara fighting back the zombie horde. Treyarch hasn’t confirmed anything about a Five remaster. That said, it is perhaps the most requested map update outside of Mob of the Dead, which is already included in Black Ops 4. We’ll likely find out for certain before Black Ops 4 launches on October 12, 2018.